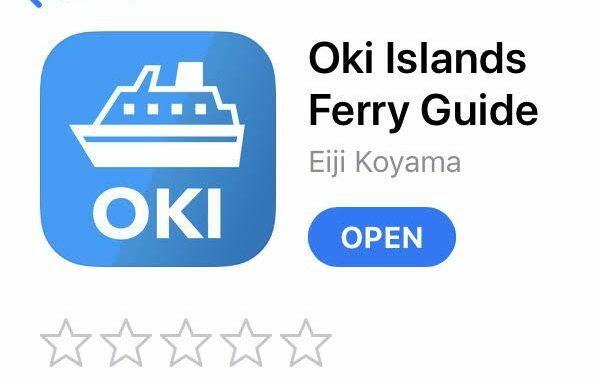 This is a must have app if you are planning to visit any of the Oki Islands. 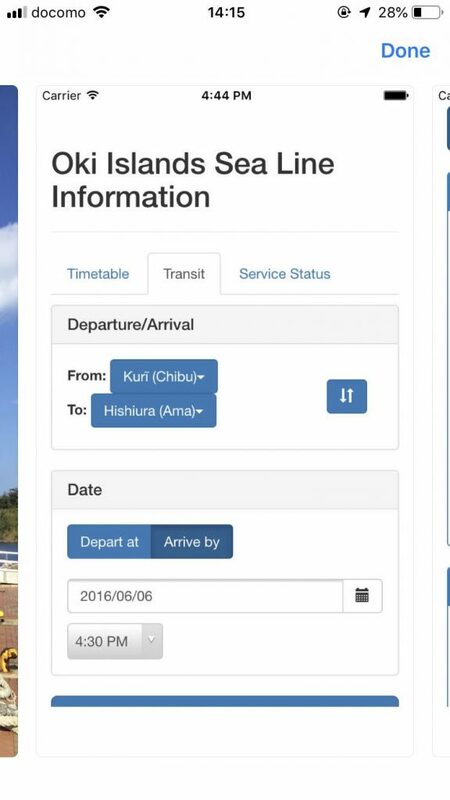 It tells you all of the Oki Island’s ferry timetable, trasit information, and any of the latest updates of the ferry schedule change. It is super easy to use, free, and available in English! 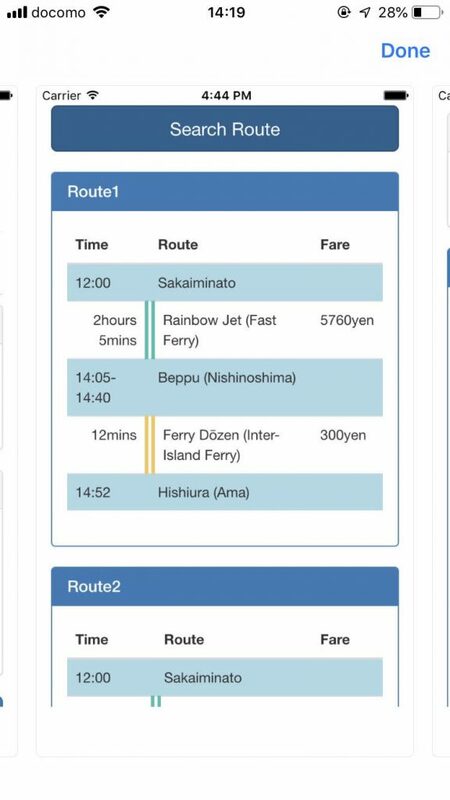 Get this app and stop any confusions of trying to work your way around the ferry routes. Select the departing and arriving port then choose the date. 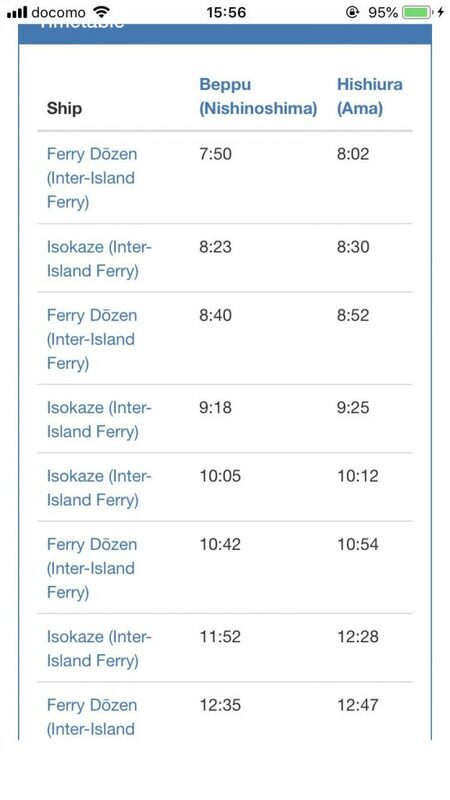 …and it will show you all the ferry timetable available on the day. If you select the transit option it can also show you different route options.